Frodo Sails ~ Frodo’s parting smile from the “Grey Havens”…. Note: I apologize that this may take some viewers for ever to download since there are twenty-nine caps, but I just couldn’t bear to split them up into two posts. They belong together. 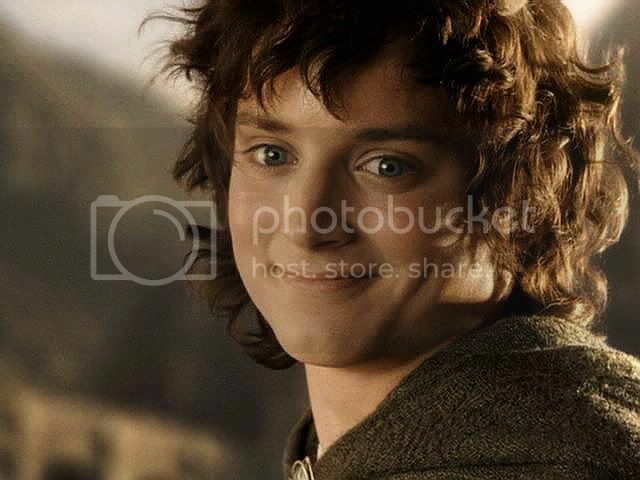 Then Frodo kissed Merry and Pippin and last of all Sam and Frodo went aboard; and the sails were drawn up, and the wind blew, and slowly the ship slipped away down the long grey firth; and the light of the glass of Galadriel that Frodo bore glimmered and was lost. 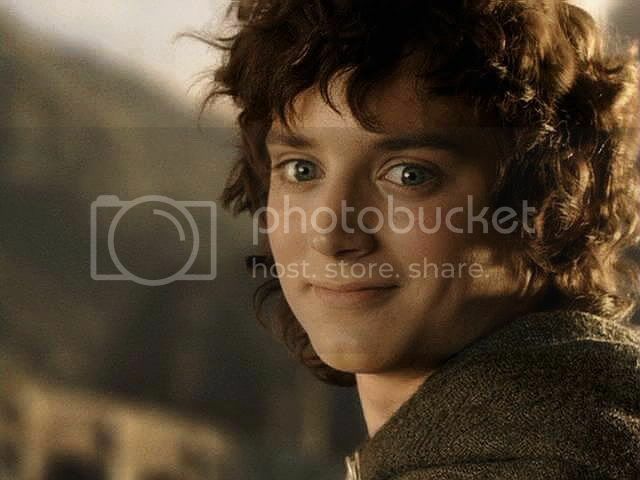 And the ship went out into the High Sea and passed on into the West, until at last on a night of rain Frodo smelled a sweet fragrance on the air and heard the sound of singing that came over the water. And then it seemed to him that as in his dream in the house of Bombadil, the grey rain-curtain turned all to silver glass and was rolled back, and he beheld white shores and beyond them a far green country under a swift sunrise. 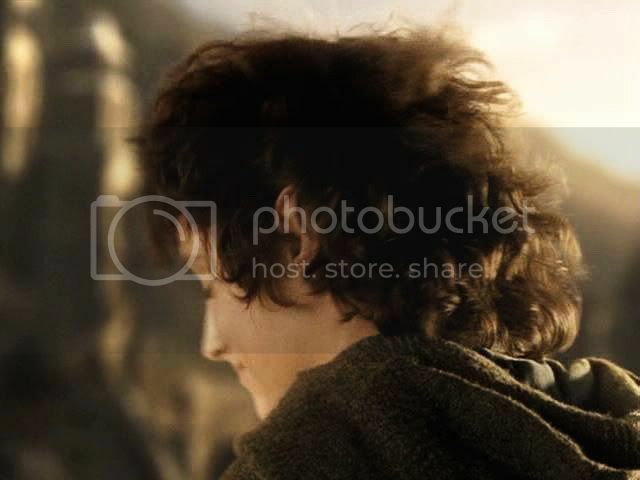 There is not a part of the three LotR films that makes me weep more than this moment. 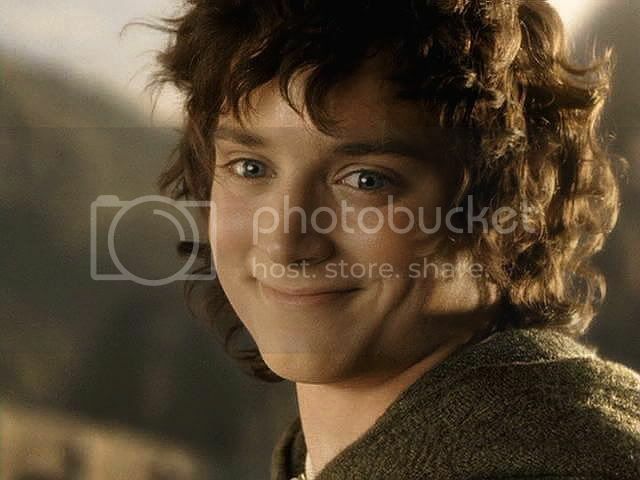 No matter how many times I have seen it, when Frodo turns and smiles, I blubber. In theatres, it took all my strength not to sob outloud -- huge, heaving sobs -- my hands clenched together against my chest as if I could keep my heart intact by sheer pressure. The scene kills me because I love him and he is leaving. 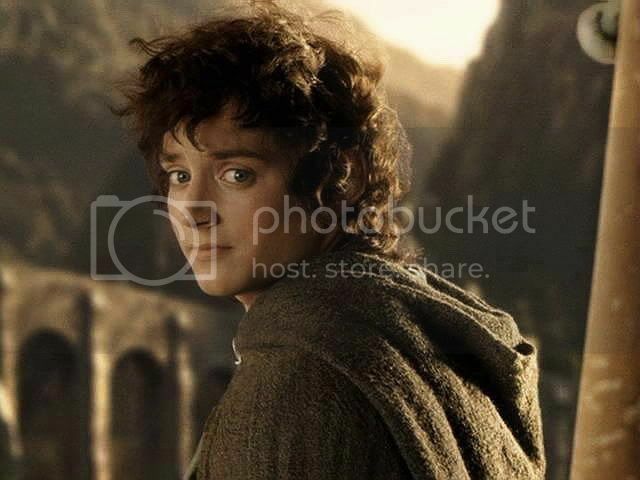 But the scene also kills me because Frodo will be healed where he is going. As great as is my feeling of loss, the joy that surges up inside me is just as great. I am killed by grief and joy together, delivered in one fell thrust to the heart -- by a smile. 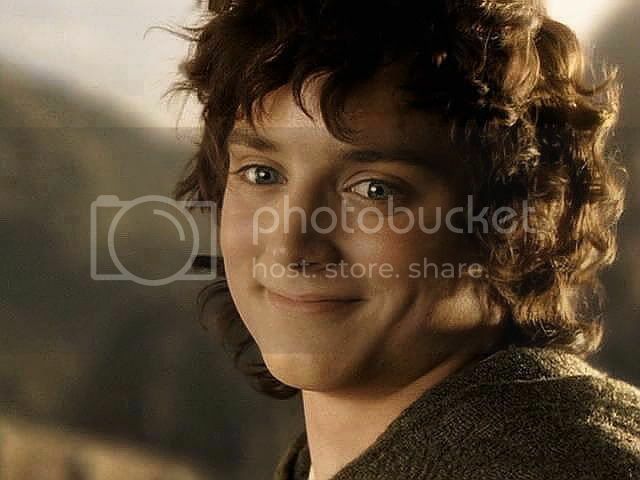 In this sequence, Frodo's smile is so beautiful -- as if joy were spreading across his face like dawn until his cheeks are tinged with rose, the surface of his skin once again fresh and translucent -- just as they were before the Ring -- I cannot bear it without breaking down. 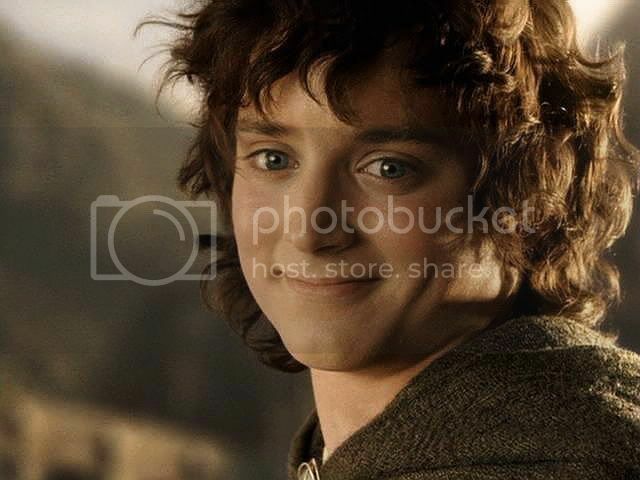 In that smile it seems as though I see Frodo’s actual soul, so long shuttered and languishing in shadow, open and unfurl like new petals: revealing a heart of light. 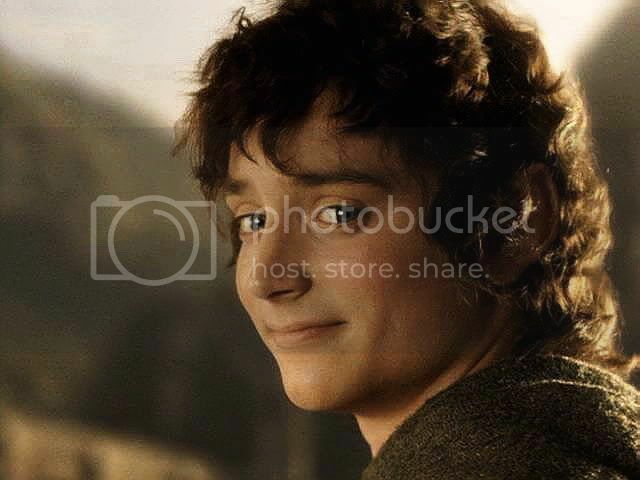 Looking at him smile in this scene is like watching two doors just beginning to part in a dimly-lit room. The shafts of light that pierce the dark are only a sign of the blaze within. I am reminded of those pictures on old-fashioned prayer cards that show rays of light streaming from the emblem of the Sacred Heart -- or the rays of pure light that stream from Gandalf’s upraised palm as he rides to Faramir's rescue across the fields of the Pelennor (book version). Anyway, I know I am not the only one who needs a towel when this scene concludes. 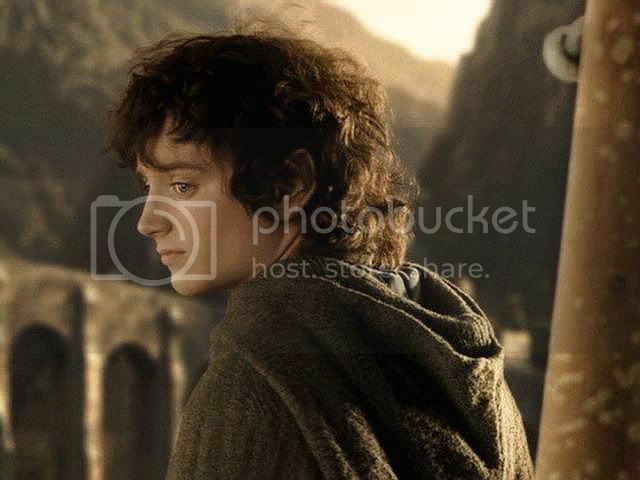 Previous screencap entry, “At the Grey Havens” (Frodo farewells Merry and Pippin) HERE. 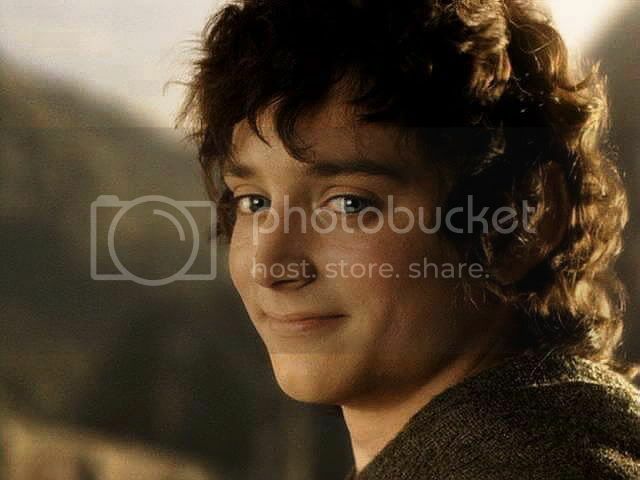 Next entry ("Sam Grieves By the Shore" ~ caps from FotR, "Not So Easily Mended" by jan-u-wine) HERE. Well, *I* sure couldn't bear it, Mews. In this sequence, Frodo's smile is so beautiful -- as if joy were spreading across his face like dawn until his cheeks are tinged with rose, the surface of his skin once again fresh and translucent -- just as they were before the Ring ... 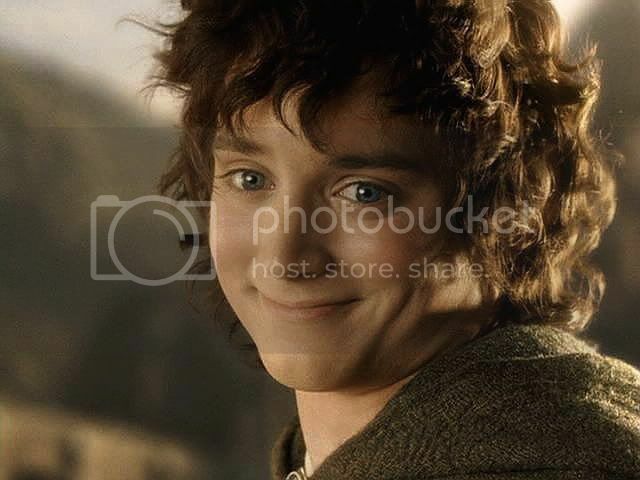 Looking at him smile in this scene is like watching two doors just beginning to part in a dimly-lit room. Oh my, beautifully said. That last sequence -- along with the music -- is just pure magic. Ah, the music! The music under this entire scene was to die for -- as sheer music, and as brilliant scoring. Every moment had attention lavished on it. The oboes playing the cries of the gulls, the mysterious, rocking open fourths suggesting the pull and roll of the Sea. When they brought in the sustained high string to signal Sam's rising feeling (it was played on the banks of the Anduin, too), I thought I'd burst with emotion. 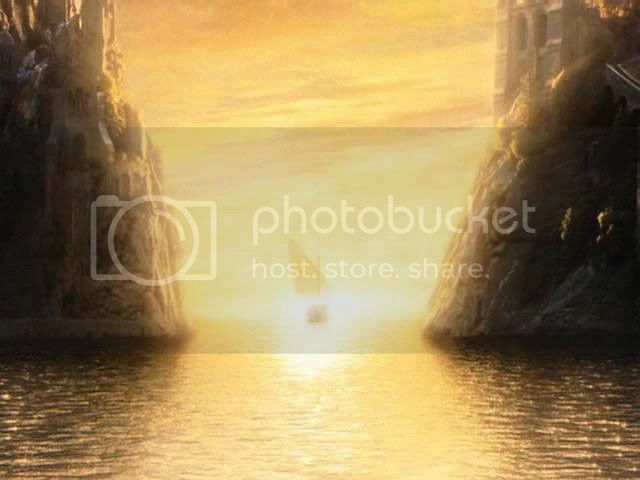 BTW, do you know if a wallpaper-sized pic of that final shot (the golden ship sailing off into the West) exists anywhere? Surely one does, somewhere. The screencaps are not very big files and would probably make blurry wallpapers. Maybe there's still one at the New Line "Official Site"? Maybe you could make a little ad for one, in your LJ? You have a big, responsibe f-list with a lot of files. You could copy this cap, if it's more convenient, to use as the model. 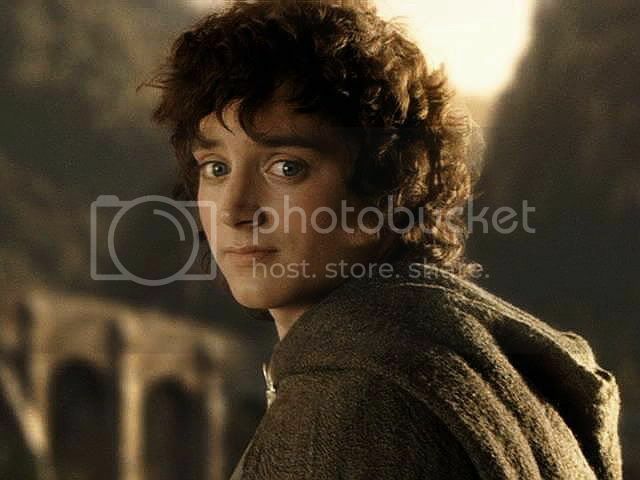 He is impossibly beautiful here. 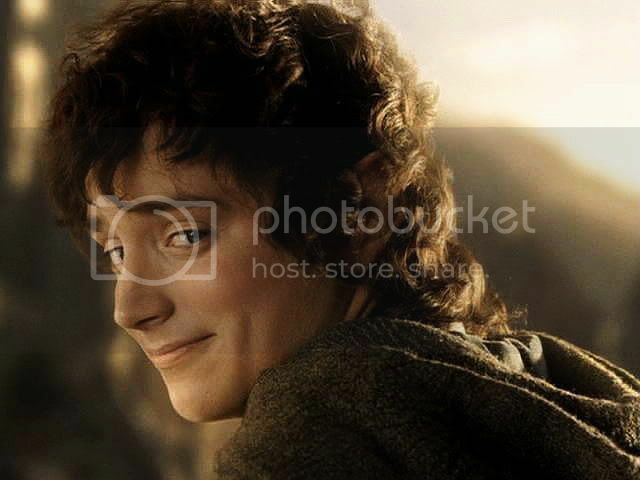 Nobody can look love like Frodo. This scene is the only reason I can bear the heartbreak. But like you, not without an all out, nothing held back, good hard cry. Thank you Mechtild for these. I can't stop staring at them. All I can say is they bloody well BETTER heal him!!! And make him happy too. Blows nose, wipes face, sniffs a whole lot!!! I can never ever ever get over the subtle facials in this. The play of emotion that so perfectly captures ever bit of that moment...from confusion to somewhat sadness, to changing peace and resolve...it is like he is feeling it and we are seeing it. I look at these screencaps you placed, and really, have never looked that closely before. I always saw and felt it but never really stared into the eyes and watched that change so closely. Its there and it is so amazing that I started to cry all over again. Honestly, Elijah is why I fell in love with this movie. I didn't until ROTK..there was so much change in character and I was shocked at what I saw...even to the end. 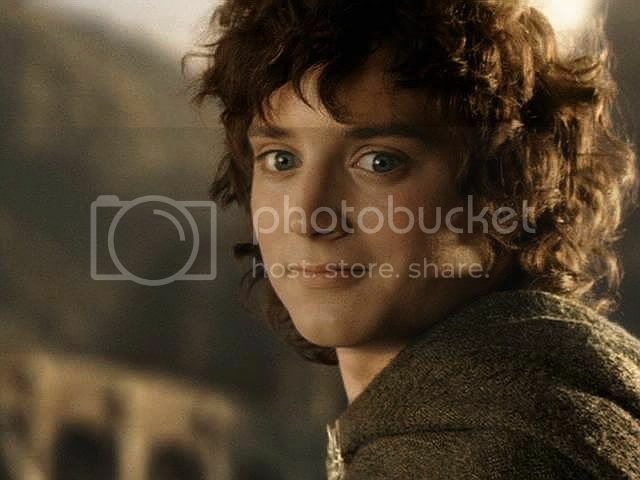 Everyone was perfect in the movie...but this Frodo tore into my heart. Made me want to read and learn more of the writer...I explored...and here I am still. That is what the images you just posted did to me as soon as I saw them. I felt love and my heart was lost to it. Blows nose, wipes face, sniffs a whole lot!!! 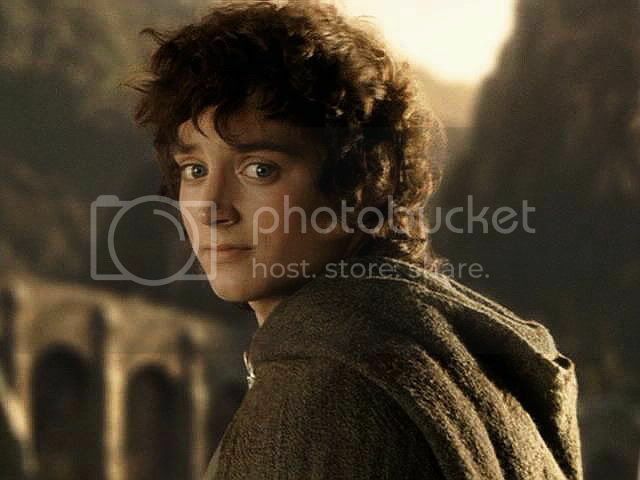 Elijah is why I fell in love with this movie. I didn't until ROTK..there was so much change in character and I was shocked at what I saw...even to the end. 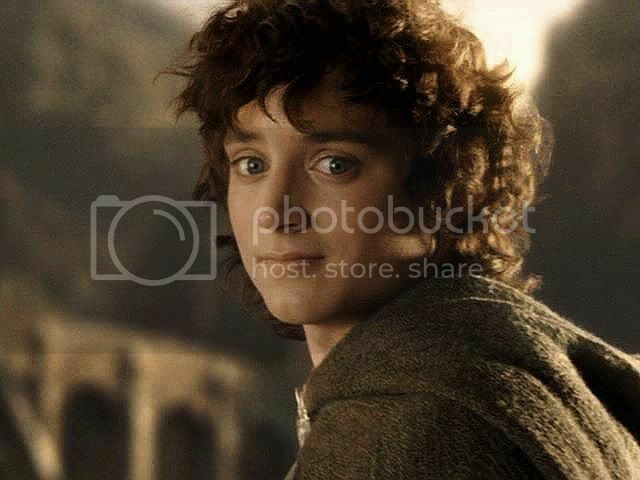 Everyone was perfect in the movie...but this Frodo tore into my heart. 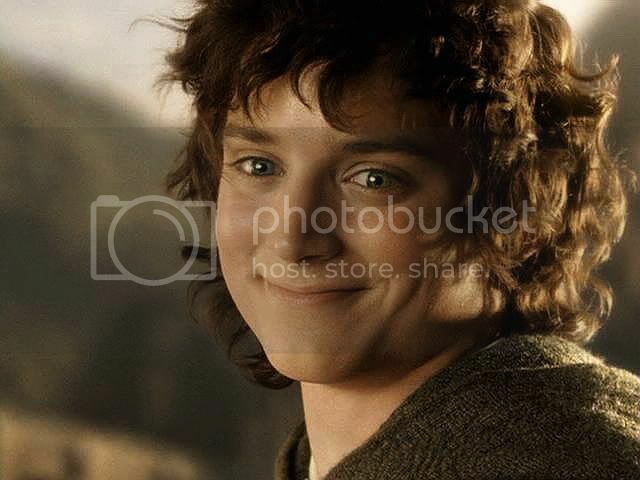 Even Peter Jackson called Frodo "the heart of the film" in the last DVD Extras. These pics kill me every time i see them. I am dead seeing these again. 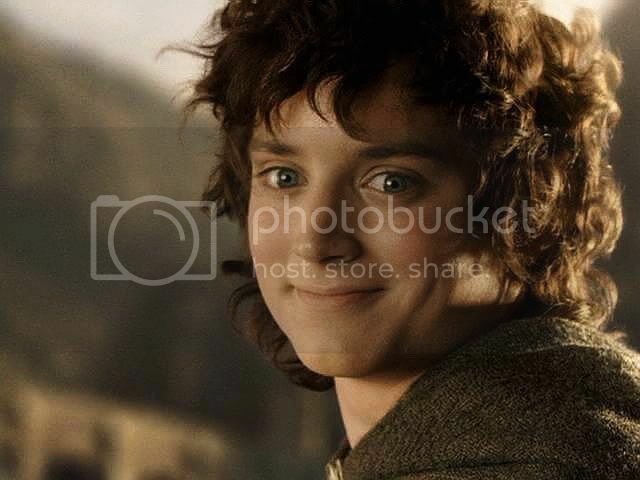 omg Frodo! These pics kill me every time i see them. I am dead seeing these again. I can't believe the difference in his face from the 6th screencap to the 7th! Like a weight has been lifted. I'm still reading and looking, just haven't got much to say these days. That is, not much to say but "thank you." "Looking at him smile in this scene is like watching two doors just beginning to part in a dimly-lit room"
Thank you sunshine for those wonderful caps and your lovingly words. There it is again - the heart and love you put into your works. 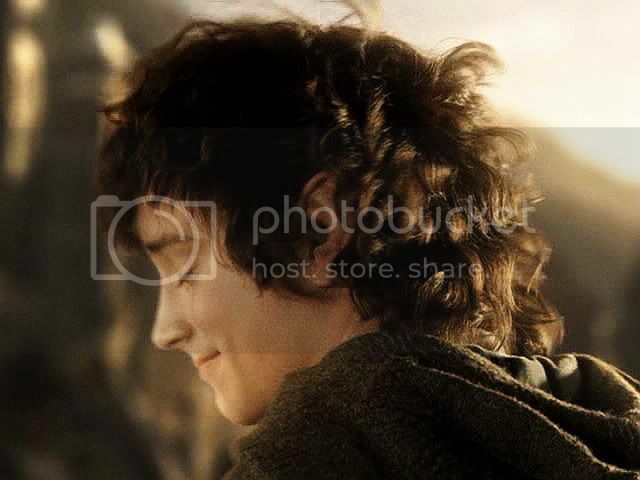 This smile *is* pure magic. How he got it just right, how PJ led him to get it, how the camera people and lighting people made it that much better, how Howard Shore should have been the perfect man to write the score: it all came together, and it really does seem like magic. You have killed me with that screencap series! I'm rolling up and down you entry for several minutes and I haven't enough. The first time a saw ROTK, I was in Bruxell for my work and I extended the stay just to see the movie one month in advance respect to Italian release. In one day I saw the film 2 times! I was prepared to that heartbreking scene, and yet I remained agape for awhile. 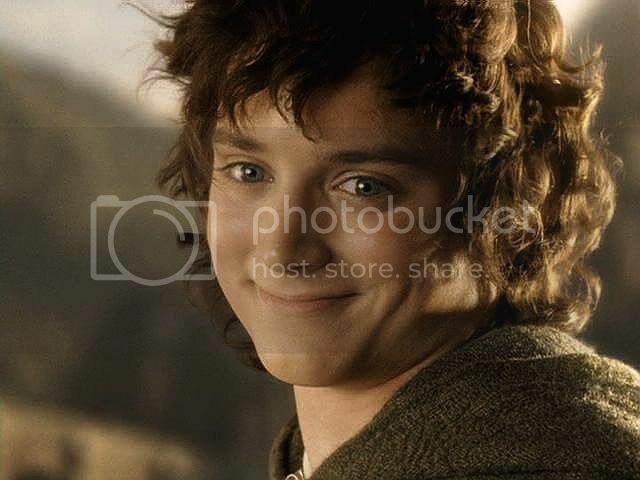 I was strongly impressed by the intensity and 'killed' by the nod at the end that is for me the real End of LotR trilogy. I run so many times that scene on DVD at normal speed and with slow-botton. It's one of the best moments of the three movies! 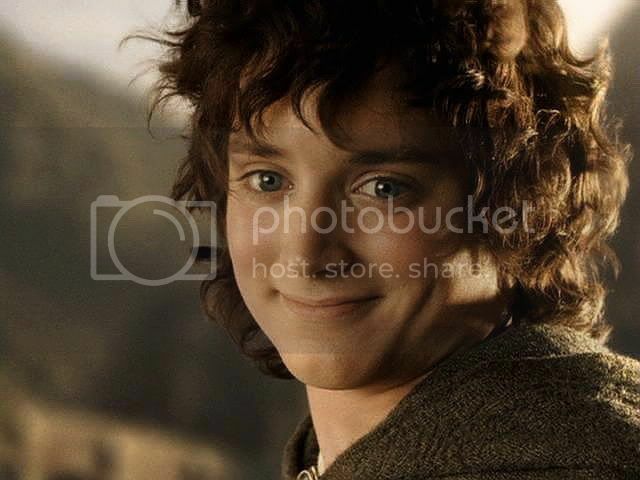 I love Frodo's transition from sadness to peace, joy and, more to 'another world' feeling. It is the perfect balance and reverse of the movie transition from innocence to hopelessness. 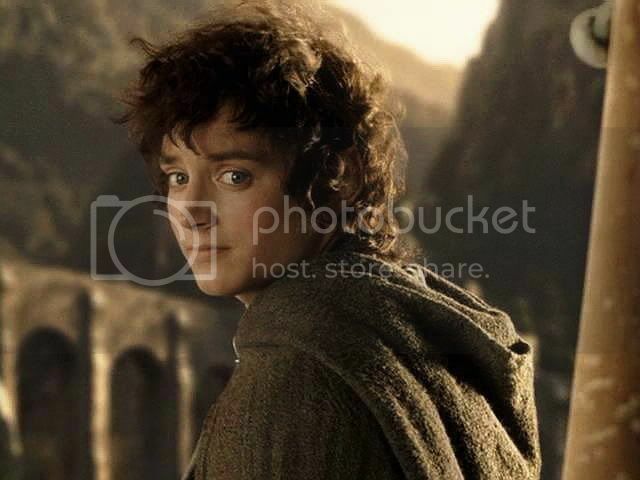 I love Frodo's transition from sadness to peace, joy and, more to 'another world' feeling. It is the perfect balance and reverse of the movie transition from innocence to hopelessness. Thank you Mechtild! It does the soul good to look at these. I listened to the score whilst reading and admiring. Heartbreakingly beautiful. Good thing that I’m home alone. The Powers that be must really love us.